Carolyn Phapakdy will graduate with her associates degree from Leeward Community College next month. 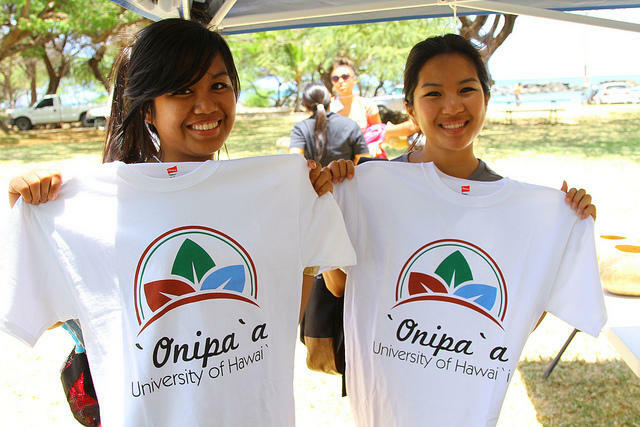 She plans to transfer to the University of Hawaii at Manoa in the fall. Carolyn is the youngest of three children. Her mom works as a waitress and her dad is retired from the Navy. Carolyn lives alone with her mom, after her dad moved to California. I first met her more than two and a half years ago, on her first day of school at Leeward Community College. 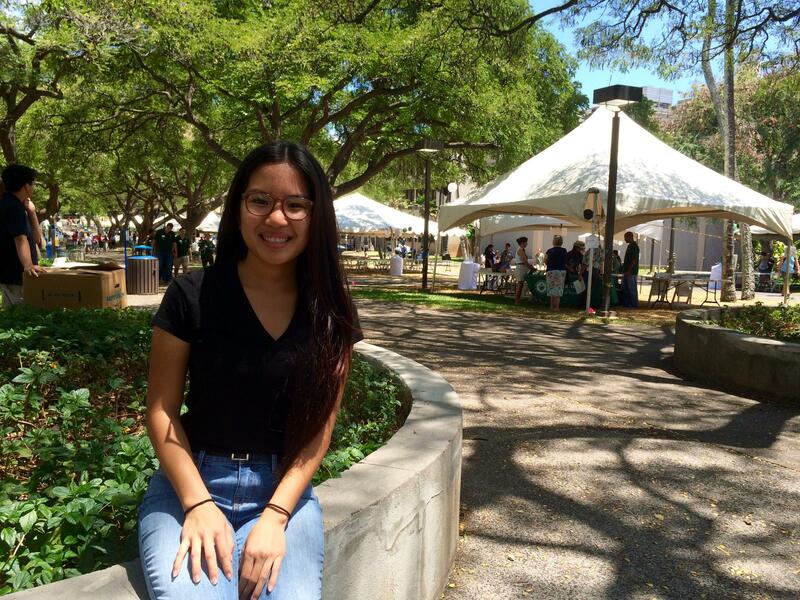 Today, she’s visiting the University of Hawai‘i at Mānoa for preview day, where she plans to transfer in the fall. "When I first got here, the campus was just huge, really gigantic," she said. As we walk through campus, she fills me in on what I’ve missed. She has a driver’s license now, but still plans to take the bus. She’s waitressing five days a week, but her grades haven’t slipped. She’s getting her associates degree next month with honors. "I honestly thought it was easy because I really like going to school and I like learning," said Carolyn. "The way I see it, school is my life. It's my own world from family, from work." But, Carolyn explains, it’s a complicated life. "It's really hard to stay focused when you've got other things going on in your life. You start to question whether school is even worth it." For Carolyn, the pressure to succeed has at times felt overwhelming. Last year it resulted in a panic attack. "I was at home, just being there alone makes you over think and stress out about all the studying you have to do," she said. "It just got to me." Part of that anxiety comes from not knowing what she wants to do once she gets out of Wai‘anae. And there are family pressures too. "They're going to depend on me to take care of them. My mom can't take care of herself on her own. She's always telling me, 'Oh buy me a house,'" said Carolyn. "Just hearing that, I feel like I have to hurry up and make up my mind about what I'm going to do, which pressures me about what I'm going to major in. It's really difficult." Her next challenge is picking a major. She likes psychology, but worries that nursing might provide a more direct route to a job. It’s a tough choice for her. "And I don't know where it's going to lead me, but you just have to take that step first and worry about what you're going to do after." It’s a decision Carolyn has until the end of the month to make, when she’s required to declare her major.